A kitchen extract system in a commercial kitchen that has been well maintained, will inevitably be a building up of grease in the ductwork. 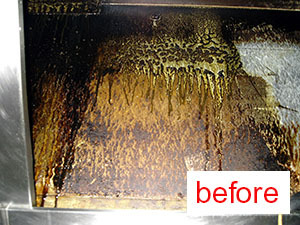 This accumulated grease forms a hidden combustion load within the internal surface of ductwork. The ductwork behind the canopy penetrates deep within a building, through walls and floors before it reaches its discharge point. 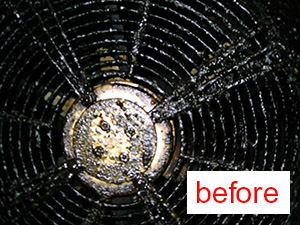 Under the right conditions fire or even high temperatures can ignite this level of grease, with devastating consequences. 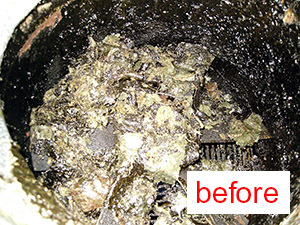 Build-up of grease has far reaching hygiene implications and leads to the extract system running less efficiently. Cleaning of Kitchen Extract systems is important to reduce the hazard & probability of starting fires which can spread quickly through a building. A maintenance regime to match the type of cooking and frequency of use, will ensure that all precautions are taken. In addition, and to keep within the Law, EC852:2004 the regulation stipulates that the Kitchen Supply System should be cleaned & maintained alongside the Kitchen Extract. To ensure best practice and a healthy environment, there are several regulations, standards and guidelines on maintaining and cleaning kitchen extract systems. BS9999: 2017 Annex W BSI Fire Safety in the design, management & use of buildings. The introduction of the Regulatory Reform (Fire Safety) Order 2005, has created the legal requirement for all buildings to have a fire risk assessment undertaken. To comply with the legislation any identified fire hazard must be removed, controlled or minimised where possible. 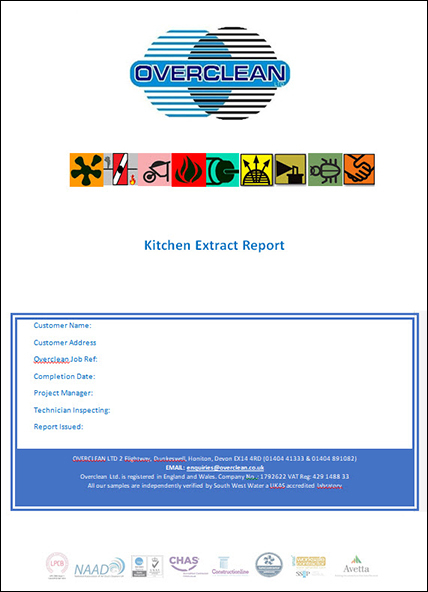 The HSE, BSRIA, FPA and insurance company’s guidance and regulations stipulate that kitchen extract systems should be kept clean to minimise fire and other risks. Failure to comply with the above can lead to insurance company invalidating your claim for damages or not renewing your insurance policy. If following a fire, the investigating Fire Officer found that there was a lack of access doors in the system making it impossible to clean, the building owner could be found guilty of negligence. They could be prosecuted and fined under the Health & Safety (Offences) Act 2009. 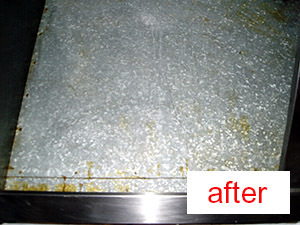 Ensure that your Kitchen Supply system is cleaned in accordance with EC852:2004. Remember the cleaning company can be held liable if they do not adhere clearly to the above standard. Overclean provide each project with specific method statements and risk assessments to ensure that your project is bespoke and completed to the required standards. The areas of the extract that are not readily accessible require cleaning to BS EN 15780 standard & TR19 guidance. Our technicians are trained to these standards and will place access panels at the correct intervals to ensure accessibility. Before cleaning commences sampling is carried out for the level of grease contamination by WFTTs (Wet Film Thickness Test) and photographs, for a comparison after the project is completed. 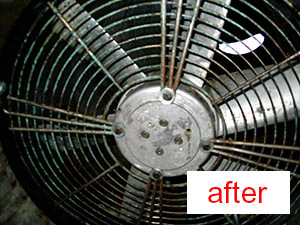 Cleaning is carried out using various methods, hand cleaning, rotary brush cleaning, chemical application, steam: applicable to requirements. Once the kitchen extract system has been cleaned further sampling takes place (WFTT) and after photographs taken. Commercial liability/property insurance policies invariably contain conditions and warranties that stipulate a minimum cleaning frequency for crease extract ductwork systems under the insurance contract which can be a higher frequency of cleaning that TR/19 recommendations. Failure to comply with such requirements will invalidate the property insurance. 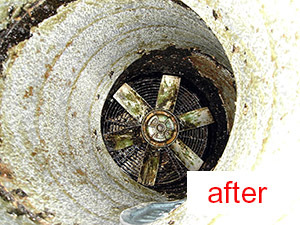 Periodic specialist cleaning should be accompanied by daily or weekly cleaning of canopies, filters and associated drains and traps in accordance with manufacturers’ recommendations, typically carried out by the kitchen operator, in compliance with the property insurers’ requirements. At the end of each project Overclean produce for you a full report containing WFTTs sampling results, photographic evidence, a Schematic drawing, advisory notes, our recommendations for of the frequency of the cleaning regime and remedial costs. A Certificate will be produced for you to verify to your insurance company that the system has been cleaned and the report indicates the frequency of cleaning.